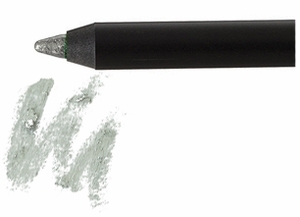 This indelible, waterproof gel eyeliner pencil brightens eyes with it's diamond effect color. Makes whites look whiter and eyes look brighter. Works great with any darker eyeliner color. Wear dark color on waterline and Diamond eyeliner above and below darker color. Gorgeous!